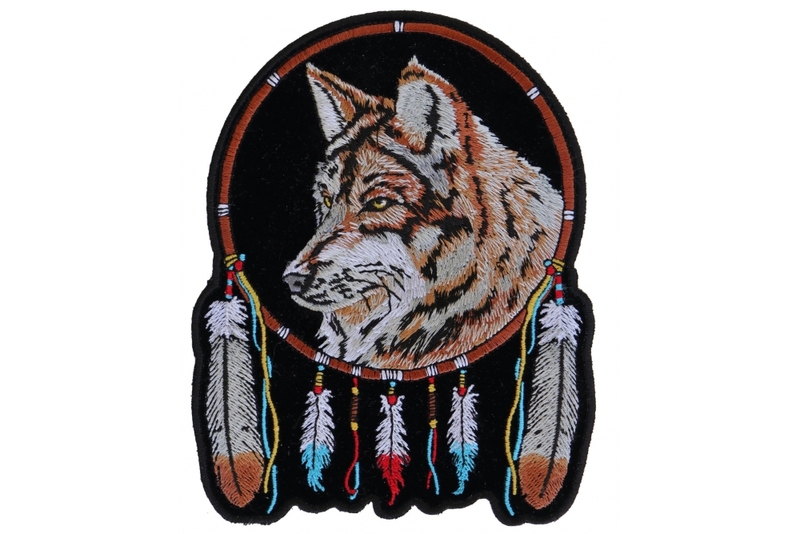 The medium version of the wolf with feathers patch measures 6x5 inches. 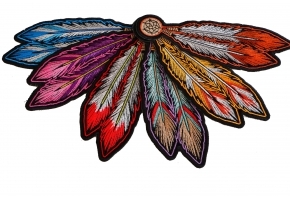 It is embroidered in Brown and white tones. 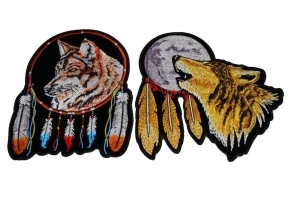 The wolf patch does also come in a large back pack version. 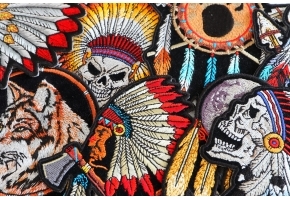 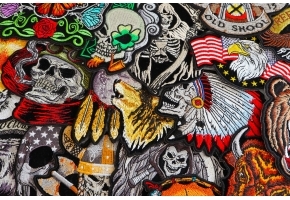 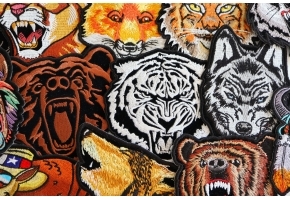 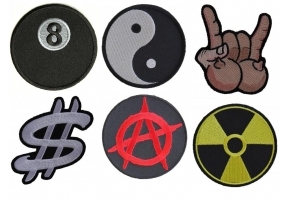 See more wolf related patches below at our related products.